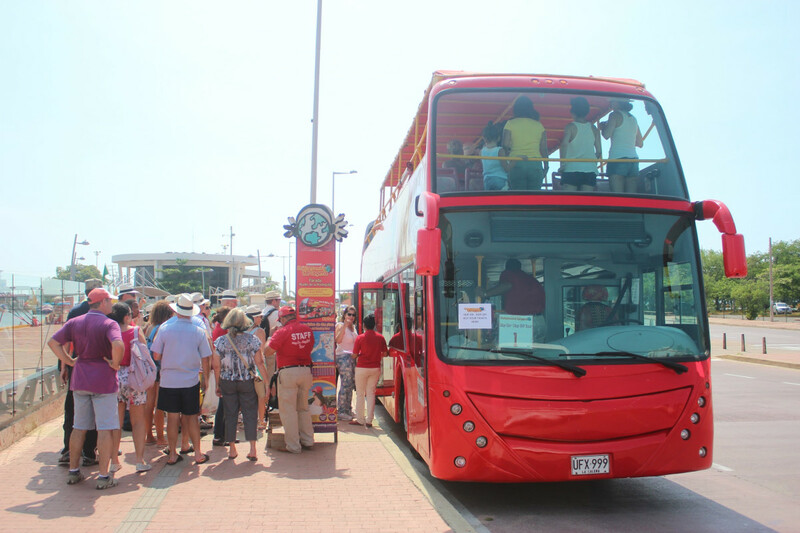 Travel through Cartagena in style on our two-storey red buses! This Tourist Bus, known as "Hop-On Hop-Off", allows you to get on and off the bus in all the stops you want with your unlimited ticket. 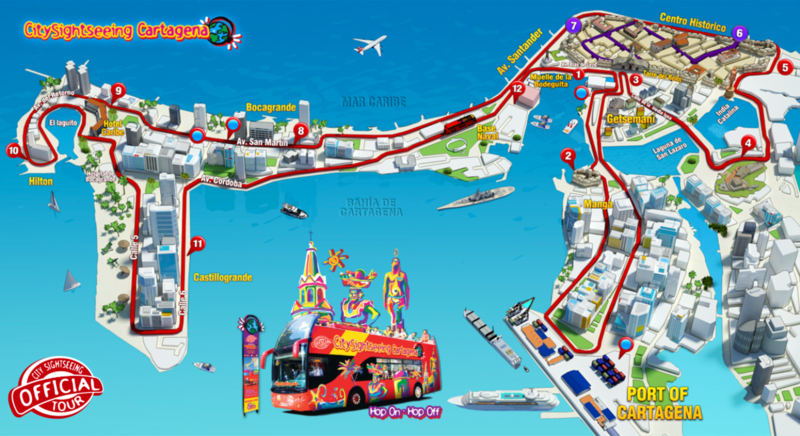 Get on the bus at the first destination, the La Bodeguita Pier, right at the marina. From there, we will take you to visit Cartagena in a route of 13 stops in the most beautiful places of the city. Buy your 48-hour ticket today! 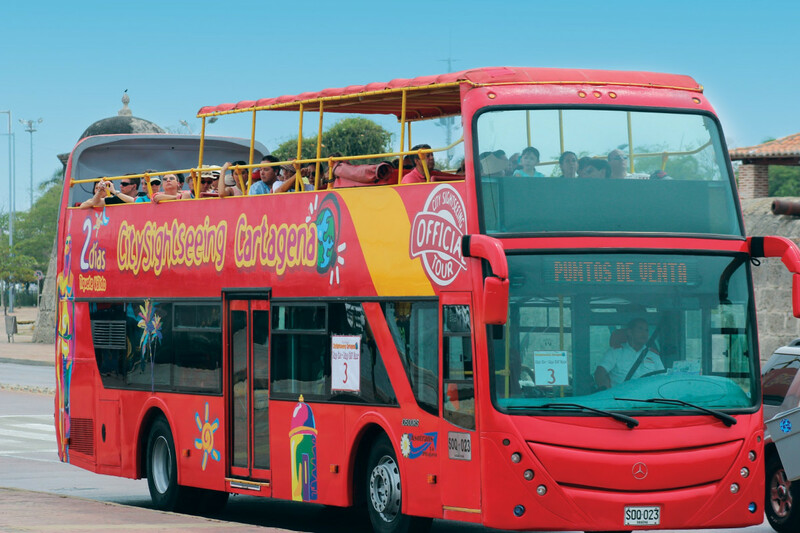 All you have to do is sit back, relax and enjoy the beautiful ocean view from the City Sightseeing bus, which takes you directly to the best destinations in Cartagena. Free guided walking tour (90 minutes) with entrance to the Gold Museum. Audio guides in 6 languages ​​to know the history and culture of Cartagena. 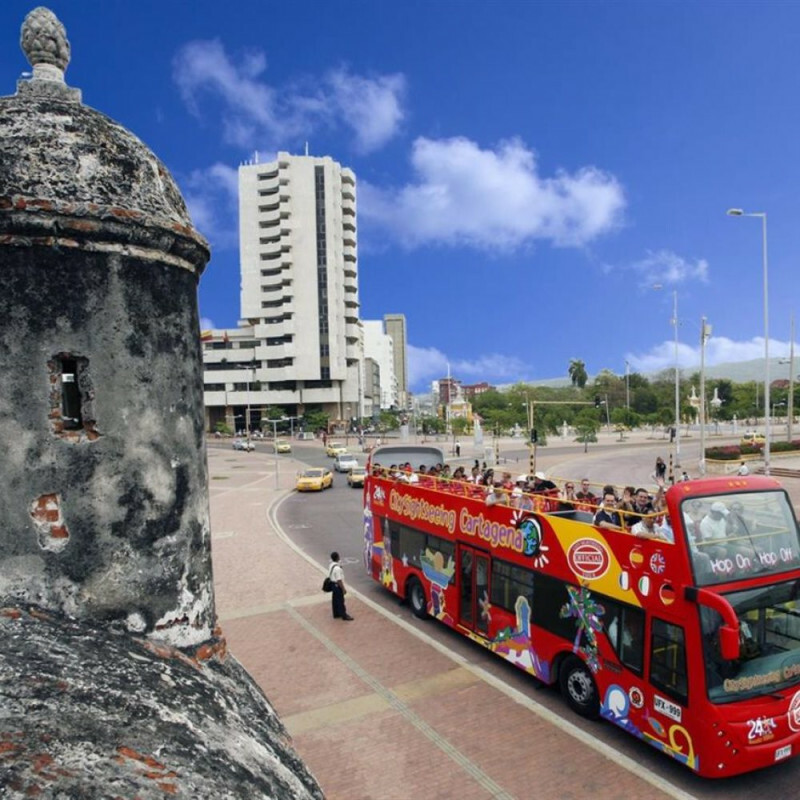 Access to 1 route and 13 stops to travel throughout the city of Cartagena.